This week, during Prime Minister’s Question Time I took the opportunity to quiz the Prime Minister about the cuts to children’s services in Sheffield. Her response was weak & did not address the reality. Since 2010 Sheffield has faced over £350m in budget cuts and now there is a projected £11.1m overspend for the year 2017-2018 because this is the only way for our Council to maintain these crucial services. This is not good enough. I will continue to campaign against the savage cuts inflicted by the Tories which are risk leaving the most vulnerable members of our community without support. 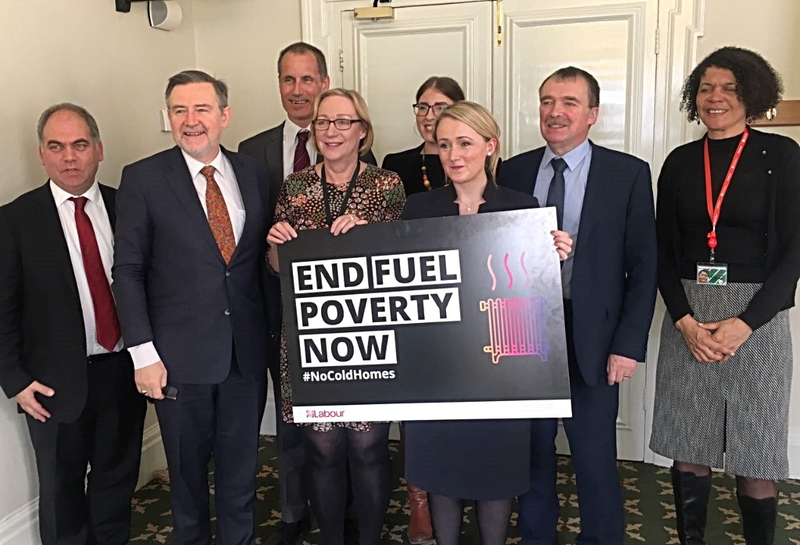 Last year I led the Labour Party Fuel Poverty Awareness campaign. It was a great success – the campaign message reached over 2 million people through support from Labour MPs and awareness of the event went viral. This year the Shadow Labour Business Team joined together for yet another successful campaign. Everyone should have a right to a warm home. Let’s join together and make fuel poverty history. I have expressed my solidarity with UCU members going on strike this week to protect their pensions. Now, more than ever, we need to unionise and join together to protect workers rights. This week I participated in Fairtrade Fortnight. Yesterday I attended the Fairtrade Fortnight reception. 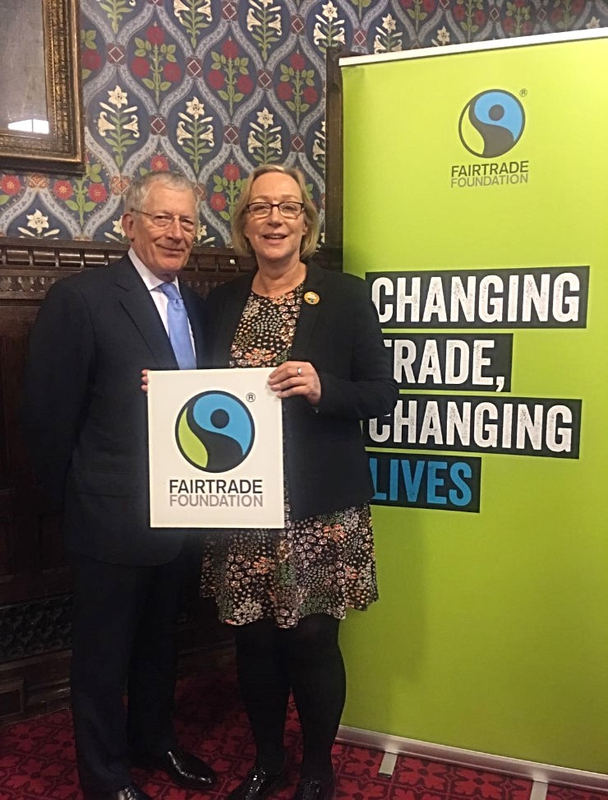 I was delighted to show my support alongside Nick Hewer of Apprentice and Countdown fame, and hear about the important work going on to improve the lives of farmers and producers all over the world. This week I showed my support for the Alzheimers Society in their campaign to raise awareness of dementia. Dementia affects over 60,000 people in Yorkshire and Humberside, and this figure is expected to reach 80,000 by 2021. Dementia is now the leading cause of death in the UK, above heart disease, and it is expected that 1 million people will have the condition by 2025. 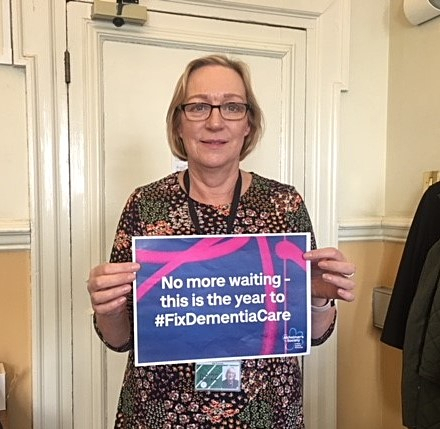 This is the year to reform social care. Throughout February Rowlands Pharmacy is encouraging constituents to attend local branches to find out more about the symptoms of dementia and how they could help further research into the condition. Join Dementia Research is a nationwide service funded by the Department of Health and implemented by the National Institute for Health Research, Alzheimer Scotland, Alzheimer’s Research UK and Alzheimer’s Society. 32,000 people have registered, but more people are needed. Go along to your local Rowlands Pharmacy and see how you can get involved. Or, tweet your support (@ARUKnews @beatdementia @rowlandstweets).